A periodic overview of member activities. Welcome to Part One of the July 2016 members’ roundup. Through the first half of July, CIMSEC members examined several international maritime security issues, including the Permanent Court of Arbitration ruling in the South China Sea, Russia’s continued air campaign against ISIS, the U.S. Navy’s procurement objectives for the Virginia-class submarine successor, and the United States’ position on the United Nations Convention on the Law of the Sea (UNCLOS). Here is a roundup of their writings. Mira Rapp-Hooper and Patrick Cronin, at War on the Rocks, provide an analysis on the long-anticipated Permanent Court of Arbitration ruling in the Philippines vs. China case over the South China Sea. Using a ‘Choose Your Own Adventure’ format, the authors breaks down the different geopolitical and legal implications of the ruling, including potential Chinese responses, political fallout for China–Philippines relations, and the future of maritime and sovereignty claims in the South China Sea. 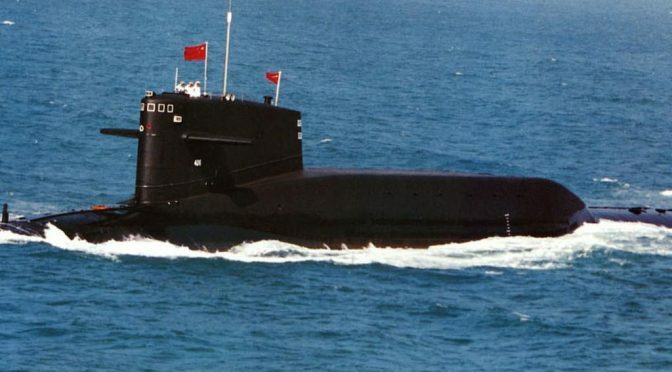 The authors explain that for China to comply with the Court’s ruling it must not claim any water or airspace from the reefs it occupies or make a 12 nautical mile assertion from any claimed land features. 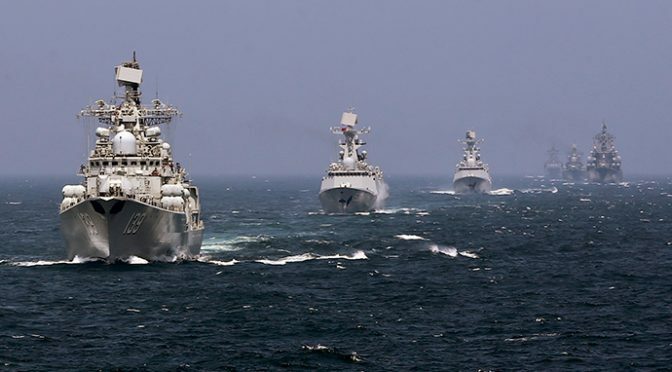 With the ruling being highly unfavorable to China’s maritime objectives, the authors highlight that if Beijing begins to prioritize territorial claims while easing off claims to water and air, it would likely reflect a China looking to move beyond its defeat while saving face. Armando J. Heredia at U.S. Naval Institute News, examines the tribunal’s decision from the perspective of Manila and how the recent election of Rodrigo Duterte as President of the Philippines will impact regional relations. He explains how the previous administration chose to accelerate the modernization process of the country’s military in response to increased hostility from China while opening the way for American forces to return to the Philippines through the Enhanced Defense Cooperation Agreement (EDCA). He notes that even under the modernization program the Philippines remain weak in terms of kinetic responses to a Chinese incursion. He also notes that any engagement by the Philippines would have to leverage the country’s poorly equipped Coast Guard, which lacks sufficient hulls to establish presence operations near disputed maritime regions and land features. Jake Bebber, at the U.S. Naval Institute Blog, discusses the centrality of cyberspace operations in the People’s Liberation Army’s (PLA) strategy for long-term competition with the United States. He discusses aspects of informationized warfare and how the PLA is seeking to position its sources of information power to enable it to win a short, overwhelming victory for Chinese forces in a notional conflict. He notes that in response to China investing large amounts of time, energy, people and resources towards achieving the country’s cyberspace and information warfare objectives, the DoD must ensure that U.S. Cyber Strategy supports the force planning, training, and equipping of cyber forces while integrating advanced technology into information planning and acquisition. 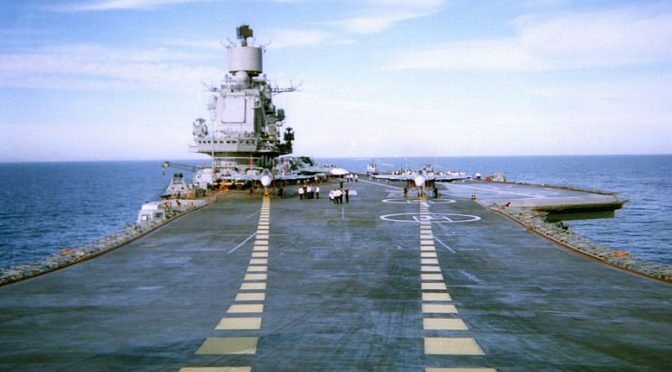 Kyle Mizokami, at Popular Mechanics, provides an overview of Moscow’s decision to deploy the country’s only aircraft carrier to the Mediterranean to carry out airstrikes against the Islamic State until next year. Discussing some of the ship’s features, he explains that the ship’s propulsion system is unreliable and is so prone to breaking down that an oceangoing tugboat always accompanies it on long distance voyages. He also discusses the capabilities the carrier will deploy, including Su-33 air superiority fighters, Su-25UTG ground attack aircraft, and MiG-29KUB two-seater multi-role fighters. Dave Majumdar, at The National Interest, discusses the U.S. Navy’s procurement objectives for the next-generation SSN(X) successor to the Virginia-class attack submarines. His article argues that one priority, permitting the Navy will have the technological know-how to do so, is to effectively turn the future attack submarine into an underwater platform for unmanned underwater vehicles (UUV). Another objective would be to eliminate noise-generating moving parts such as a propulsor or driveshaft in the propulsion system to decrease the possibility of detection in an increasingly competitive undersea environment. Sam LaGrone, at U.S. Naval Institute News, reviews the program development of the Navy’s first carrier based unmanned aerial vehicle, now officially called the MQ-25A Stingray. 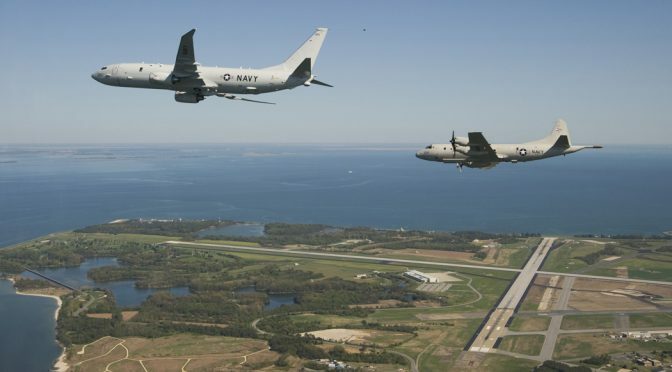 The article mentions aspects of the former Unmanned Carrier Launched Airborne Surveillance and Strike (UCLASS) program and the Carrier Based Aerial Refueling System (CBARS) program. In a second article with USNI News, he highlights the recent finalization of Raytheon’s deal with Kongsberg Defense and Aerospace (KDA) to produce the Naval Strike Missile and its launcher at facilities in the U.S. for domestic and international sale. Darshana Baruah, at The Interpreter, analyzes India’s perspective on the South China Sea ruling. She explains that statements released by Indian officials indicate that New Delhi recognizes the ruling from the Permanent Court of Arbitration (PCA) and will respect it. Christian Davenport, for the Washington Post, examines recent controversy surrounding the Pentagon’s B-21 Long-range Strike Bomber program and the stealth aircraft’s producer, Northrop Grumman. The article discusses an effort, led by Sen. John McCain (R-Ariz.), that would have forced the Air Force to reveal the total cost of the program – estimated to be as high as $100 billion. Ankit Panda, for The Diplomat, provides an overview of the Permanent Court of Arbitration ruling in the South China Sea. He explains that the Tribunal’s award is highly favorable to the Philippines considering the decision that China’s nine-dash line claim and accompanying claims to historic rights have no validity under international law. Mina Pollman, for The Diplomat, discusses the terrorist attack in Dhaka, Bangladesh that killed seven Japanese nationals and how the Japanese government is responding to the incident. She also provides an analysis of traditional Japanese responses to terrorism and the limitations public opinion on the use of the Japan Self-Defense Force as a foreign policy tool has on their ability to proactively contribute to peace. ADM James Stavridis, USN (Ret.) and Elliot Engel, Ranking Member of the House Committee on Foreign Affairs, provide an opinion piece suggesting that the United States should ratify the UNCLOS convention. The authors explains that since the U.S. is not party to the Law of the Sea convention, Washington lacks an appropriate position to urge governments to stick to their obligations and abide by the Tribunal’s decision in the South China Sea case and others should they arise.